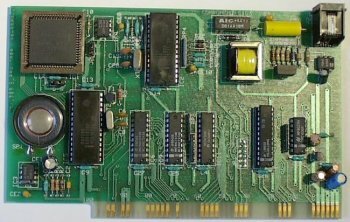 Its a 2400 baud modem with a speaker on the card. 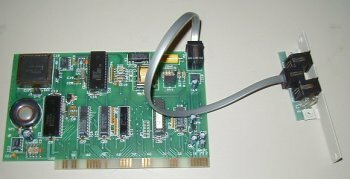 Connects via a two Western connectors mounted on a backplate to the analogue line. 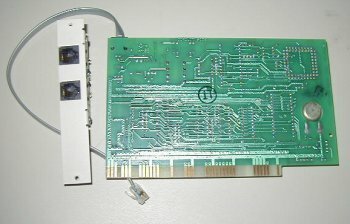 It is possible to upgrade this card to a 9600 modem by using the Intel (Satafaction) 9600 V32 Modem chip set.